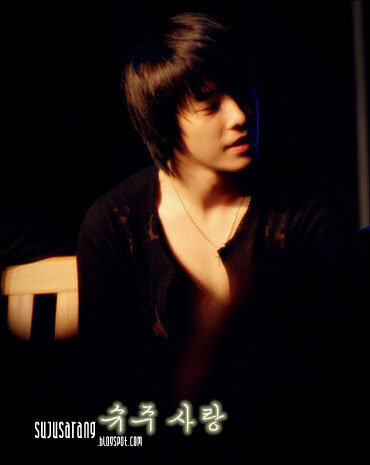 The survey asked readers to choose the “#1 sexiest Korean male of 2010″, and although Donghae ranked first, the vast majority of Super Junior managed to rank in at the top. Leader Lee Teuk took second, followed by Yesung at third, Kyuhyun at fourth, and Siwon at fifth. Sixth place was taken by SS501’s Kim Hyun Joong, followed by Sungmin at seventh, 2PM’s Junsu at eighth, and JYJ’s Jaejoong at ninth. CNBLUE’s Yonghwa rounded off the top 10. This entry was posted on January 11, 2011 by redtofu. It was filed under Uncategorized and was tagged with 2PM Junsu, CN Blue Yong Hwa, Jaejoong, Kim hyun Joong, Super Junior Donghae, Super Junior Kyuhyun, Super Junior Leeteuk, Super Junior Siwon, Super Junior Sungmin, Super Junior Yesung. 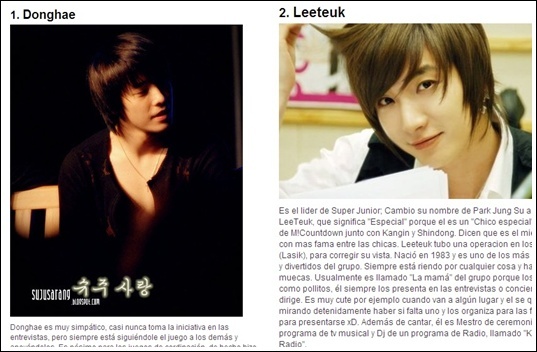 HAHA..suju is well known in Argentina too~! so,suju has reached global and not only the king in asia~! i agree with you! even i’m not an ELF, i think Super Junior has a wide global popularity. congratulations !! thank you~! !i am proud to be an ELF..but since you are not suju fans,what is your fav artist in kpop?i hope they will do well too~! woah..surely u are a great fan of kpop rite? i listen to other artist too,such as 2 pm,beast and shinee..! !their song is nice!! its ok,if u are not an elf~! everyone has different interest.